Sigma Tau Delta is the International English Honor Society, and the University of Kentucky has a very active chapter. Our chapter acts as the English Student club, and all students are welcome to join as campus members. Our three goals are promoting fellowship, service, and scholarship. 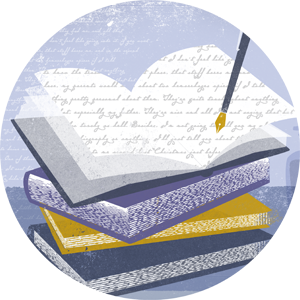 We host many fun events for English majors over the course of the year, and we hope to see you at one soon. We always welcome new members. 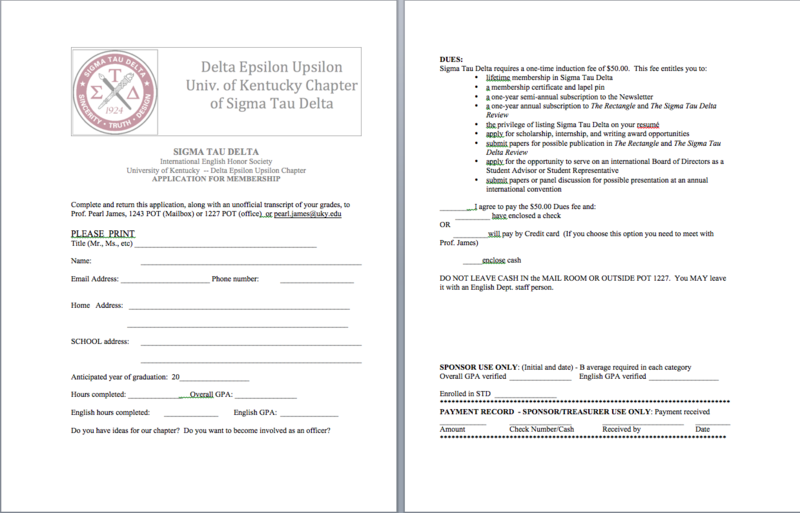 Membership form below: Print out and turn in!